The report comes from the German website Macerkoff, who starts by pointing out that the iPhone 8 costs €799, the iPhone 8 Plus sells for €909, and the iPhone X is €1149. 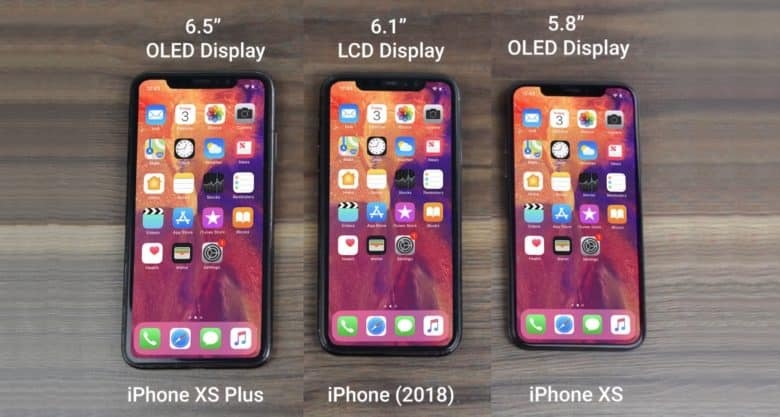 Citing two different sources, the site says the 6.1-inch LCD iPhone expected to be announced next week will cost €799, the 5.8-inch replacement for the iPhone X will be €909, and the 6.5-inch OLED device sell for €1149. Typically, when European prices leak, the best way to determine the U.S. price is to convert euros to dollars. In this case, however, it seems more likely that the U.S. cost for these three iPhone models will be the same as Apple is charging for three 2017 models over here. After all, that’s what the company’s doing in Europe. If that assumption is correct, the 6.1-inch LCD iPhone will be $699, the speed-bumped 5.8-inch iPhone X will be $799, and the the 6.5-inch OLED model will be $999. This is generally in-line with earlier reports. It was hoped the 6.1-inch model would be cheaper, but that could have been wishful thinking. And the $799 price for the iPhone X replacement is actually on the low end of previous rumors. If a straight euros-to-dollars conversion turns out to be more accurate, then these three will be $929, $1057, and $1336. But that doesn’t seem very likely, as these prices are all much, much higher than earlier estimates. The largest device Apple is reportedly prepping for release could be called the iPhone Xs Max. It’s expected to have the same general design as the iPhone X, just larger. The iPhone Xs will reportedly be the same size and shape as Apple’s current flagship. Both of these are expected to boast an improved Apple 12 processor, and possibly more RAM. The 6.1-inch LCD model allegedly will be called the iPhone 9. It’s expected to be announced on Sept. 12 with the other two, but not launch until November.